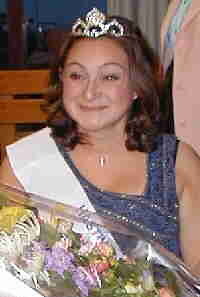 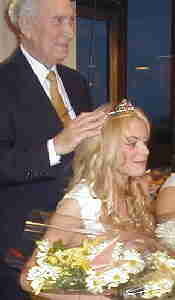 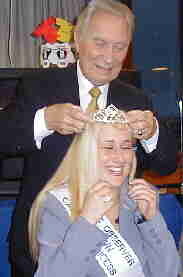 The Crowning Moment as Hastings Old Town Carnival President, John Hodgson, crowns Leah, Vicky and Lisa. 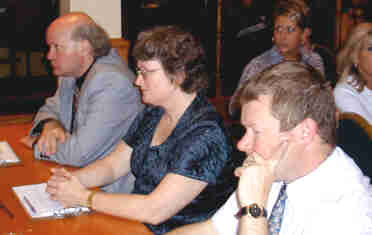 The Judges, from the left, Philip Elms, Editor of the Hastings Observer, Marion Hartley, Hastings First Old Town Carnival Queen and Kevin Boorman, Hastings' Marketing Manager. 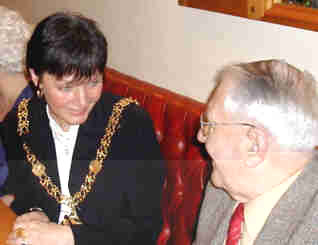 Hastings' Mayor, Jackie Dowling was there of course, seen here chatting with treasurer Ray Hafseth. 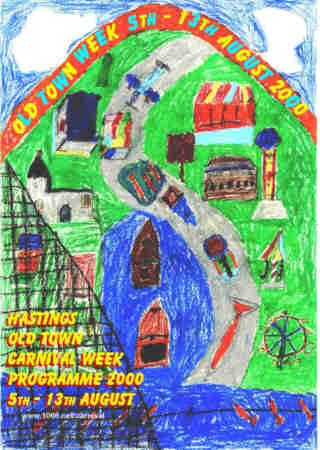 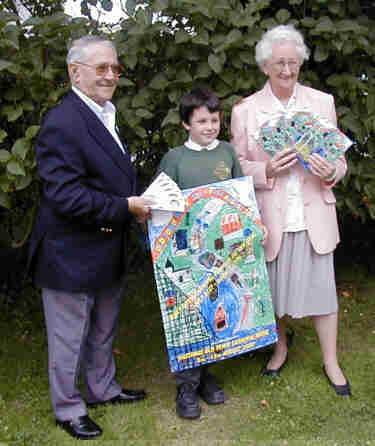 June 23rd saw the judging of the competition open to all schools in the area for the cover of Carnival Programme and the Old Town Carnival Posters (that's it at the top of the page) and it was won by Jamie Richardson (aged 9) of Westfield County Primary School. 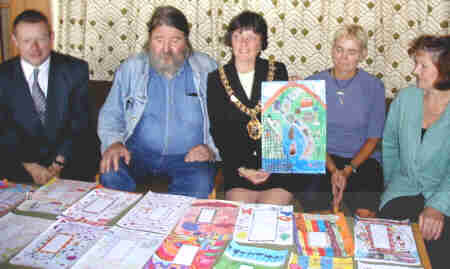 The winning picture is held up by Hastings' Mayor, Jackie Dowling, other judges included (from left) Kevin Boorman, Hastings' Marketing Manager, Ion Castro, webmaster for 1066.net and a member of Hastings Old Town Carnival Association, The Mayor, Jackie Dowling, Heidi Bossom, advertising manager for the Old Town Week Programme and a member of The Hastings Old Town Carnival Association (the ads allow us to supply the programme free) and Penny Precious, Hastings Council's Arts Development Officer.